The leading provider of local payment methods, Alternative Payments, brings credit-card and PayPal alternatives to Lime Light’s subscription and campaign management platform. Alternative Payments, a leading global provider of local payment methods and credit card alternatives, has announced a partnership with Lime Light CRM the leading provider of campaign management solutions. With this new partnership, Alternative Payments’ innovative payment services are fully integrated into the Lime Light CRM business offerings. Lime Light CRM helps marketers streamline the creation and management of direct marketing campaigns, generating high volume transactions across multiple countries, and accepting most major currencies. Seamless international transactions processing, multiple currency handling and tailored payment options to each consumer trough the innovative payment gateway are the values which stand behind the foundations of this partnership. 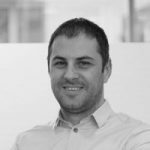 “With the rise of alternative payment methods in the global e-commerce world, the integration of Alternative Payments’ broad portfolio of local payment methods and credit card alternatives will enable further market expansion and open new opportunities to Lime Light’s customers.” said Wolf Kring, the president of Alternative Payments. “For the last few years we’ve seen an increasing demand for alternative payment methods; hence, we are excited about our partnership with Alternative Payments. This integration will support various payment types that are being introduced to the CRM, making this our most versatile gateway integration with regards to payment type” said Rick Del Rio, General Manager for Lime Light CRM. Alternative Payments remains the only provider focused entirely on increasing merchants’ reach by offering only the local payment methods to consumers and converting sales merchants would have missed out on by relying only on credit cards. For more information about the partnership between Alternative Payments and Lime Light CRM, or to get started growing your international business, contact a member of Alternative Payments’ specialist team at sales@alternativepayments.com. Alternative Payments provides a global payment infrastructure to ensure e-commerce merchants can convert international web traffic into approved transactions. The core gateway handles cross-border payments by streamlining a robust portfolio of global payments solutions into a single checkout flow. Alternative Payments is the exclusive provider of the direct debit solution EuroDebit®/SEPA, reaching over 520 million EU consumers. Merchants experience frictionless onboarding and quick access to the global online marketplace. For further information about Alternative Payments please visit alternativepayments.com or follow us on Twitter (@Alternative_Pay). There are 0 comment. 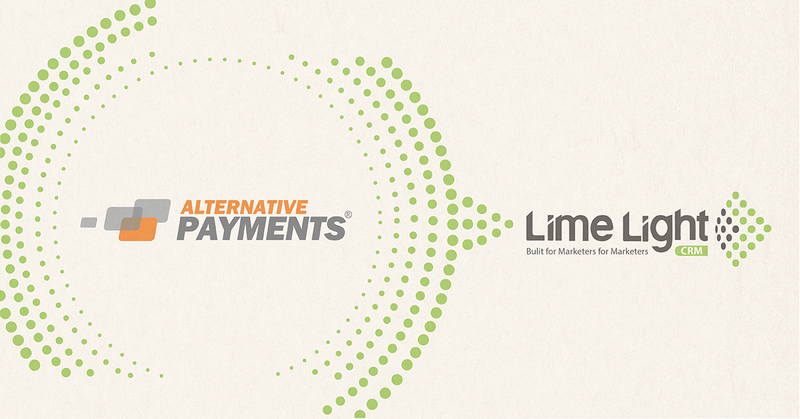 on "Alternative Payments and Lime Light CRM Partner to Enable Local Payment Methods Processing for Online Marketers"